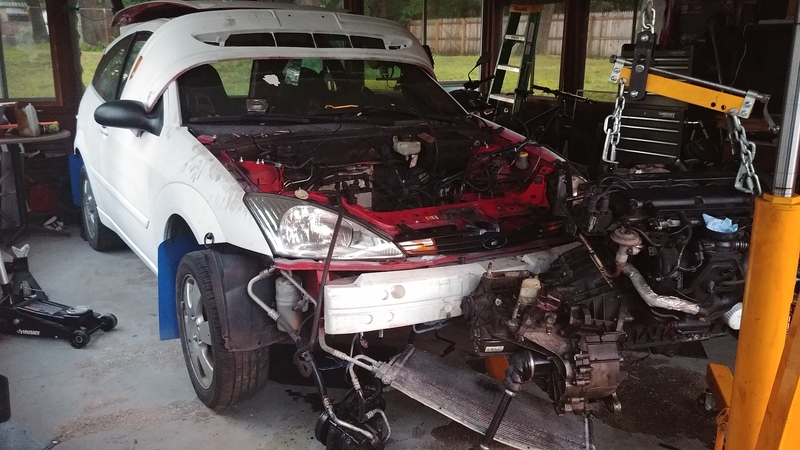 I found a 02 ZX3 listed for sale as a "rally car" on the local Craigslist. They mentioned transmission problems but also said they had done some work to prep the car for rally cross. When my buddy c0alition and I arrived we found the focus had a blown dif and some interesting modifications. Interior was stripped, mismatched race seats, harnesses, airbags ripped out, clutch replaced recently, and sunroof removed with sheet metal fairly neatly covering the hole. There was also a collection of parts in the back of the car new in boxes including MSS rear disc conversion kit, hydraulic ebrake, a few suspension parts, etc. I decided to offer the guy a grand and called up the towing company to bring it home to start the adventure. 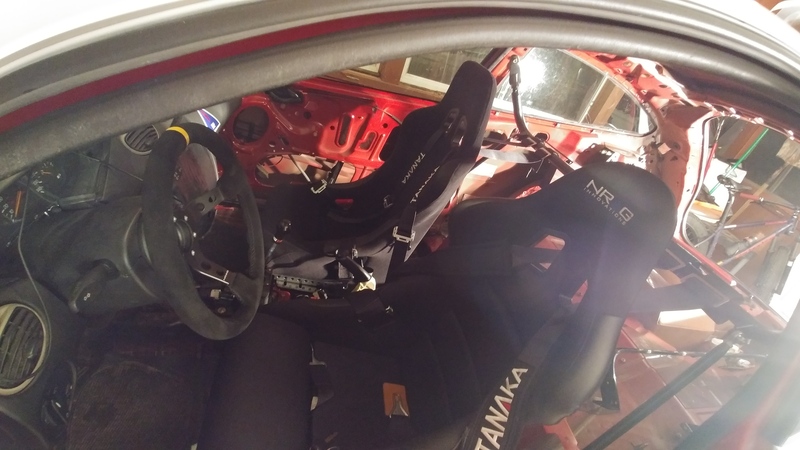 The current goal for this car is to have some fun going around cones at some autocross events, try out a track day, and maybe dabble into rallycross. The power goal is about 175-200hp with a small turbo while maintaining stock engine internals. 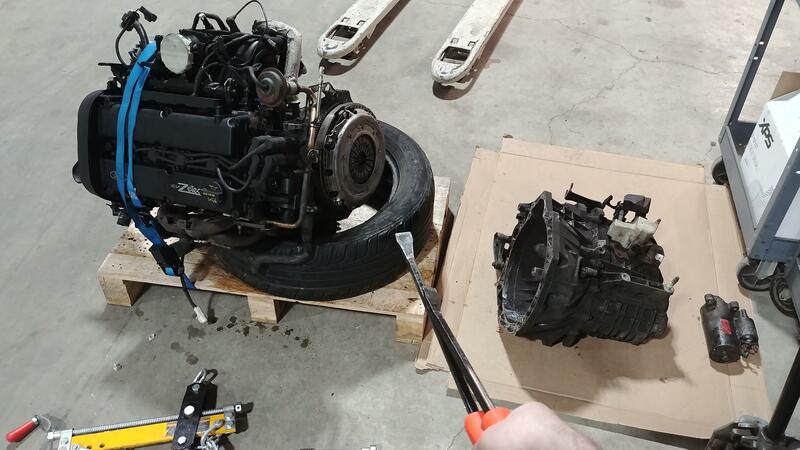 A friend had an 01 ZX3 sitting in his driveway for years, and I now had need for a new transmission and spare parts. They gave me the car for the low price of towing it out of their driveway. It had been sitting through New England weather for a few years and it really showed. The subframes were rusted through and it definitely wasn't starting up, but it was perfect for what I would need. Now it was time to have some fun and pull my first and second ever engines/transmissions. The first one I pulled at my home garage with the help of c0alition. The drivers side axle proved difficult to remove so we pulled it with it attached. I smartened up a bit and pulled the second in a larger garage that I have access to. 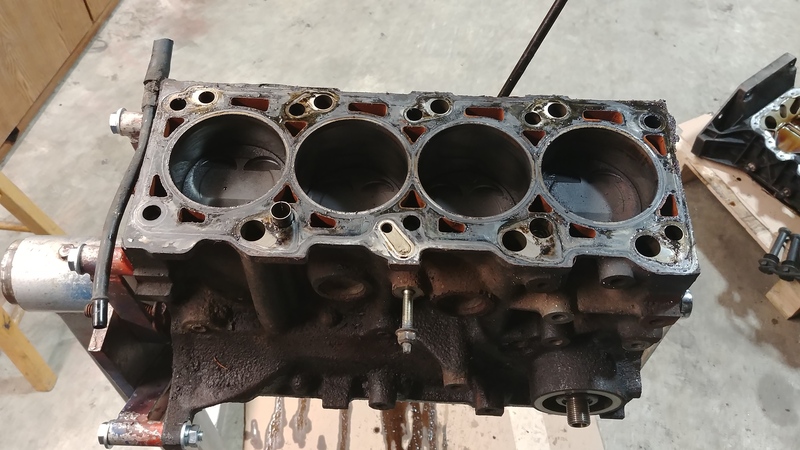 The second time was much easier thanks to a forklift, an extra set of helping hands, and maybe a couple of lessons learned from the first one(like having c0alition remove that tricky bolt on the starter). 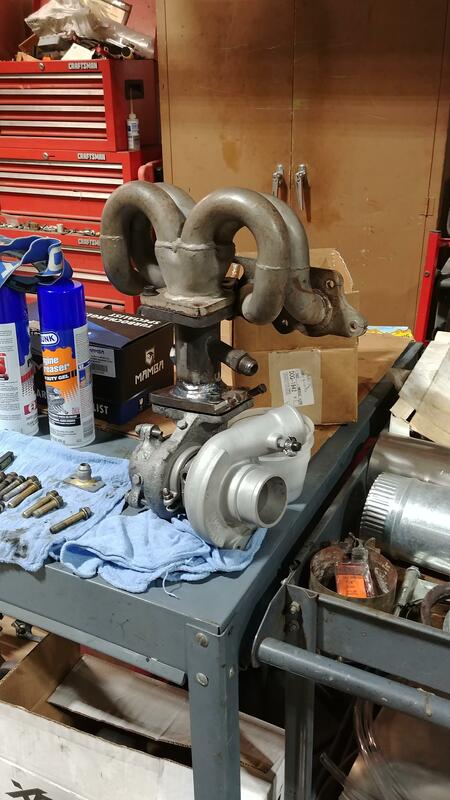 Acquired a DSM turbo model: te04h-13c with a manifold and downpipe from C0alition in need of some TLC. 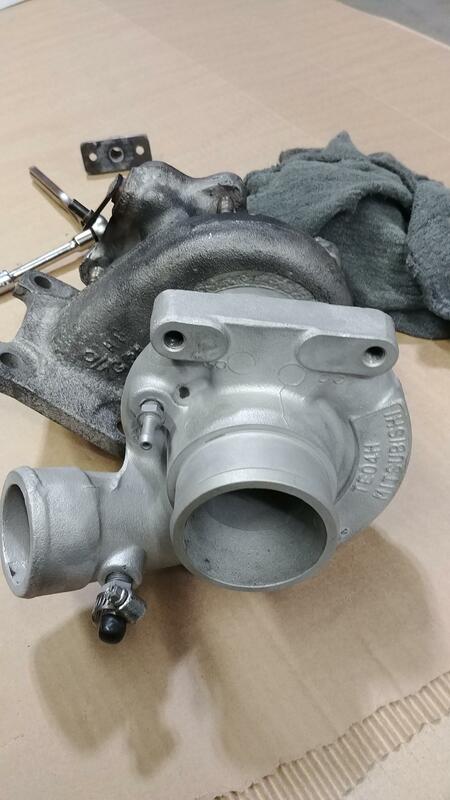 These turbos are OEM from Dodge Daytona's and Chrysler LeBaron's. I was looking for something that would spool up quickly and produce a little bit of power [strike]since I am keeping stock internals[/strike], this should fit the bill. There was very minimal shaft play, with no evidence of rubbing on the housing. 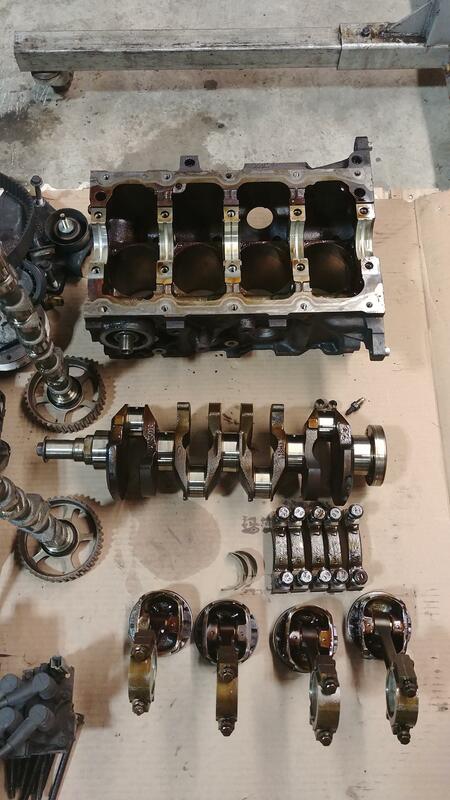 Rebuild kit is on the way, and soon it will be sent off for bead blasting and rebuild. 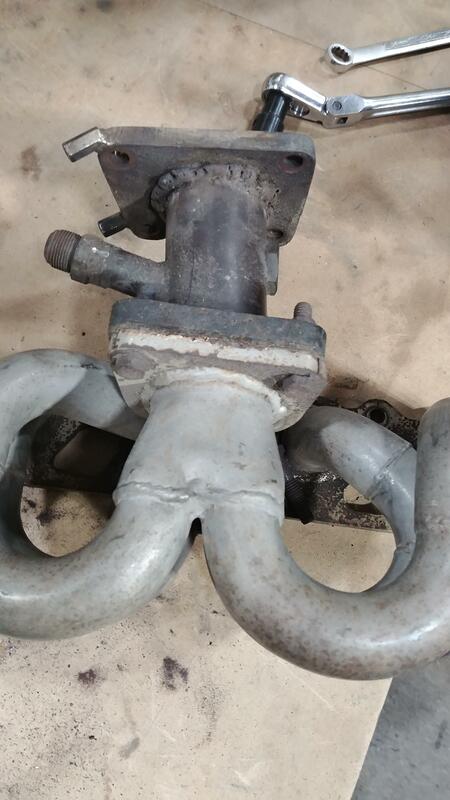 The wastegate was stuck open, the arm was stuck up against the housing from a misalignment caused by the mount welded onto the flange being off. The actuator was originally mounted to the cold side housing, but in order to run the piping the direction that makes most sense this needs to be spun around. I took it apart and found once the arm was free from rubbing it functioned normally. My plan is to grab an adjustable from Mambatek anyways, so I will just have to figure out a mount for it when that time comes. 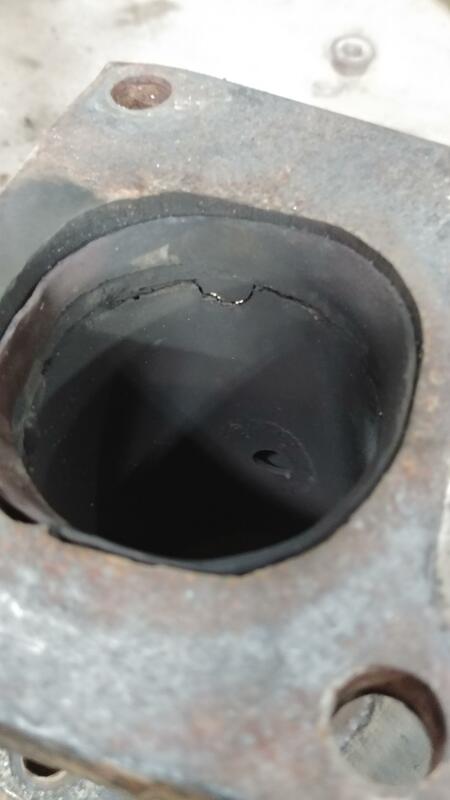 Next the manifold/flange pipe had the worlds ugliest weld, upon taking it apart we found the weld was cracked almost entirely around. This will be getting welded again. Turbo has been rebuilt and bead blasted by a local shop. It came out really nice, the new adjustable wastegate actuator is on the way, figuring out how to mount that with the clocking change will be the next challenge. Motor is up on the stand now and most everything removed. It is in need of a really good cleaning. Mocked up the turbo off the motor just to see how it looks. Intake side clocking will need to change, probably going to point it down. 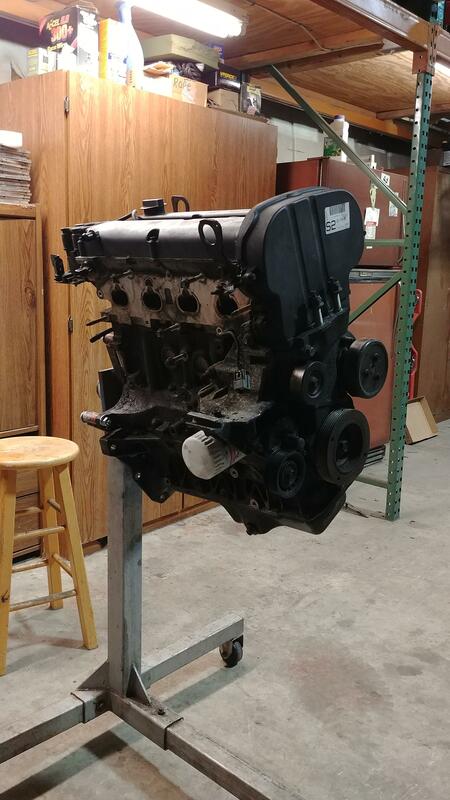 I decided to build the engine... I had not come to a complete decision at this point as to exactly which components to purchase, but the first step was disassembling the motor. C0alition stopped by and we took it apart in a few hours. It was my first time doing this so we took our time and I got to really see how motor functioned, really cool. 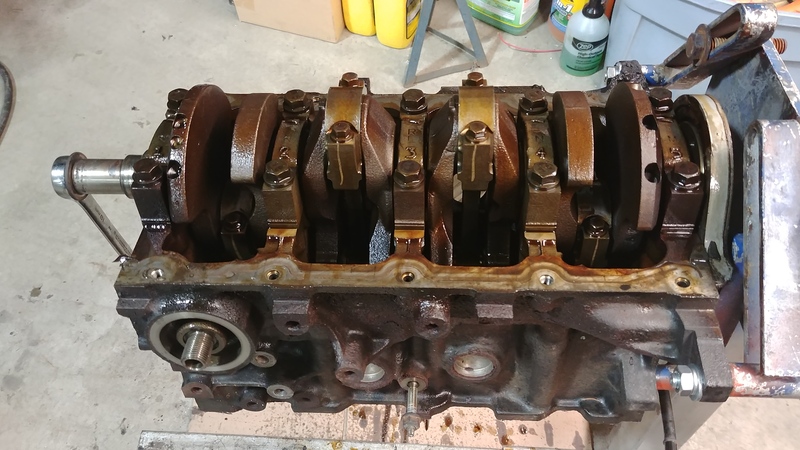 Next step now is to bring the block and crank to the machine shop for some work. 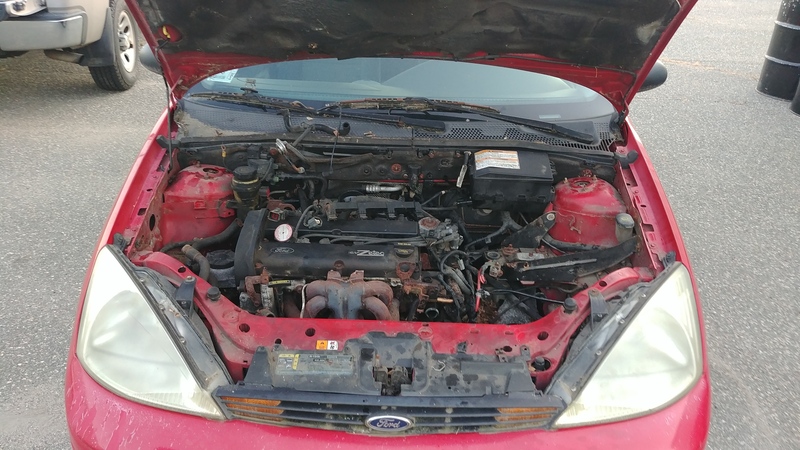 I have two transmissions available, one with a blown stock differential and 200k on it, and the other was functioning normally when it was parked for a few years(to my knowledge) with 176k on it. I am going to take the latter and purchase an Mfactory Helical Limited Slip Differential to be installed, as well as a refresh of the transmission as needed. First time pulling a transmission off of a motor. 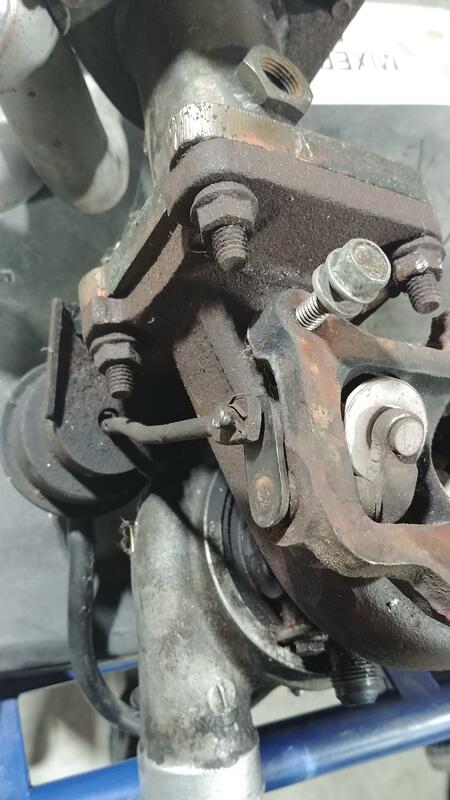 Its much easier when you remove all of the bell housing bolts, I learned. I did the same thing for the other motor/transmission I have. This way I have a spare if it is needed. Last edited by Newengfocu; 02-01-2019 at 02:37 PM. 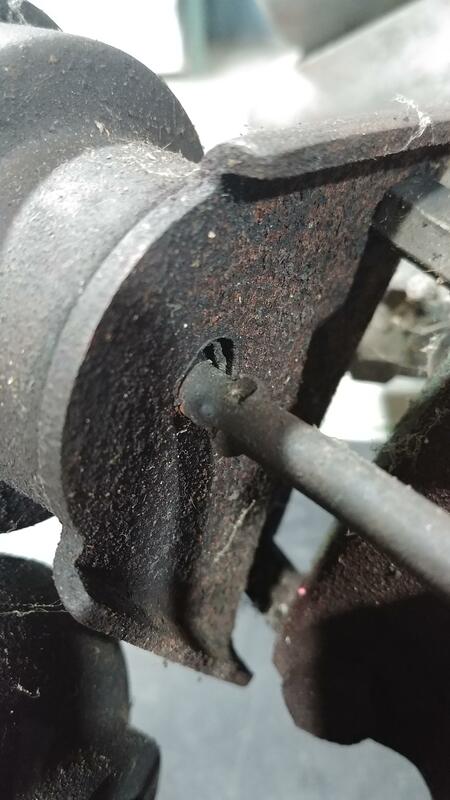 More pictures of making the car unusable plz. I wanna see the destruction. Added some updates from over the weekend. What do those engines normally make at the wheels, around 120-130ish? How much boost will you need to hit your goal with that turbo, maybe only around 7lbs? That's plenty to have fun in around 2600-2700lbs or less. Hey mrniceguy, I believe you are correct about 130 stock, at production. I am not sure if that was to the wheels however. Yes, I think around 7-10 psi(which is what these oem turbos would do back in the day) should get me close to that number. I think it will be really fun, it is also a few pounds lighter considering the previous owner ripped the interior out. I owned a MK6 GTI which was over 3,000 lbs, produced about the same power and was a huge amount of fun. Yeah, for all of the hype and love that mega horsepower cars get on the internet, personally I've always preferred something that I can drive nearer the limits without hitting warp speeds on a track lol. I had a little '93 Altima 2.4L for years that made around 150-160whp with bolt ons and around 2850lbs, it was lots of fun around town, kindof a point and shoot little car. I agree! Especially considering the main goal is autocross, big power wont be necessary. 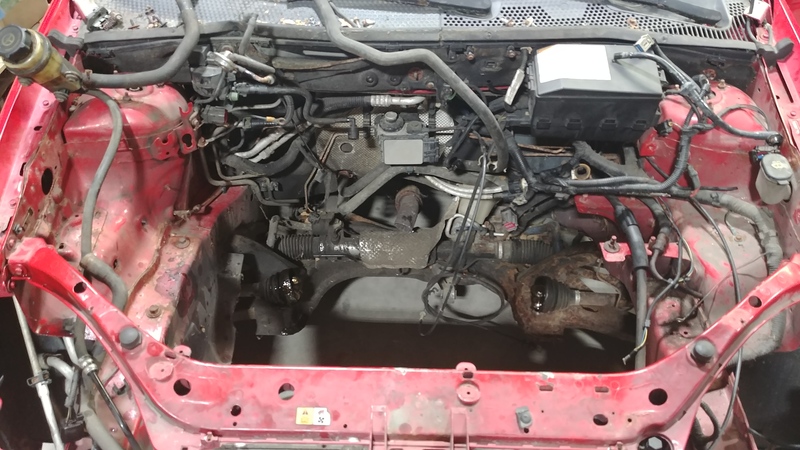 Tore down the engine last night, added some photos of that! Looks great. I feel like this is a little old school and I love it. Get it close to 200bhp, make it light, get it to handle/ride well and it'll be a class track toy. Looking forward to seeing how this moves forward.